The Aces’ “Lovin’ Is Bible” isn’t your mother’s love song: The Utah band’s mesmerizingly catchy track emphasizes romance over any higher power. Some of us are lucky enough to be familiar with the euphoria of a heavenly romance. For those who aren’t, a new track from Utah pop-rock ensemble The Aces elicits a very similar feeling. “Lovin’ Is Bible,” one of the new singles from the band’s upcoming debut, isn’t your mother’s love song. While the mesmerizingly catchy track features plenty of tongue-in-cheek biblical references, the chorus chants a message that emphasizes romance more than any higher power. 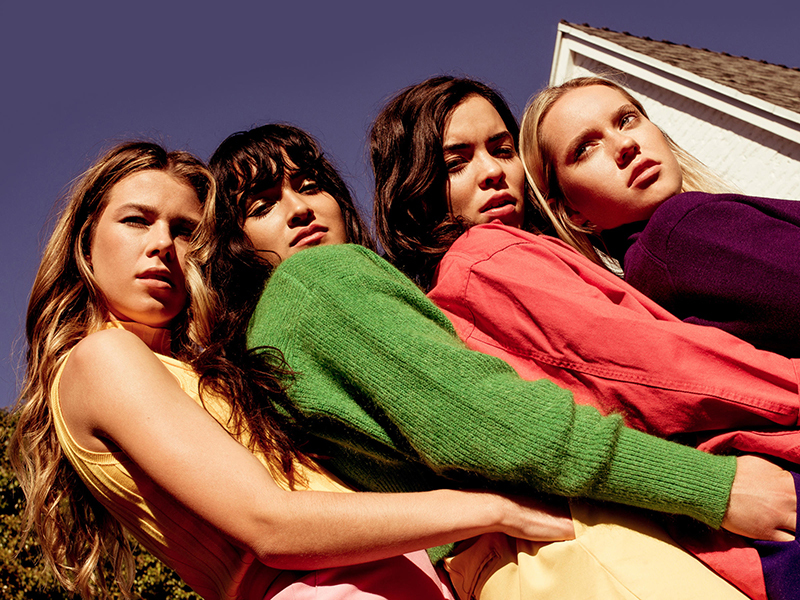 Upon first listen of The Aces, some are quick to draw comparisons to fellow fellow all-girl group HAIM, but the four-piece are fiercely unique. With spiraling guitar riffs and slamming drum hits, plus pleasing harmonies driven by lead singer Cristal Ramirez, these powerhouses are here to stay and make a name for themselves. They just wrapped up a tour as the opening act for indie pop staple band COIN, proving their rising dominance in the genre. The lyrics paint a refreshingly judgment-free romance, where all labels — including religion — are out the window. The track is a prime soundtrack to welcome warmer weather with, perfectly fit for a windows-down drive. But the deeper meaning and inspiration of this bubbly ditty are more profound than one might expect. “We wanted to take the chance through this song to talk about how our differences are smaller than they seem, and we are capable of loving and having real relationships with every person,” The Aces said in an interview with Billboard. In a society that may at times feel divisive and polarizing, the quartet aims to bring listeners closer together despite what often seems to pull them apart. The carefree essence and lively spirit of the lyrics and melody make this an impeccable (and perhaps encouraging) anthem for a summer fling. The Aces state via enticing, flirtatious songwriting that love can span across all barriers and break all stereotypes. The band’s debut album, When My Heart Felt Volcanic, is slated to drop 4/6/2018 via Red Bull Records. The singles preceding its release help confirm that there’s going to plenty more captivating hooks, danceable beats and hefty guitars in the listener’s future. 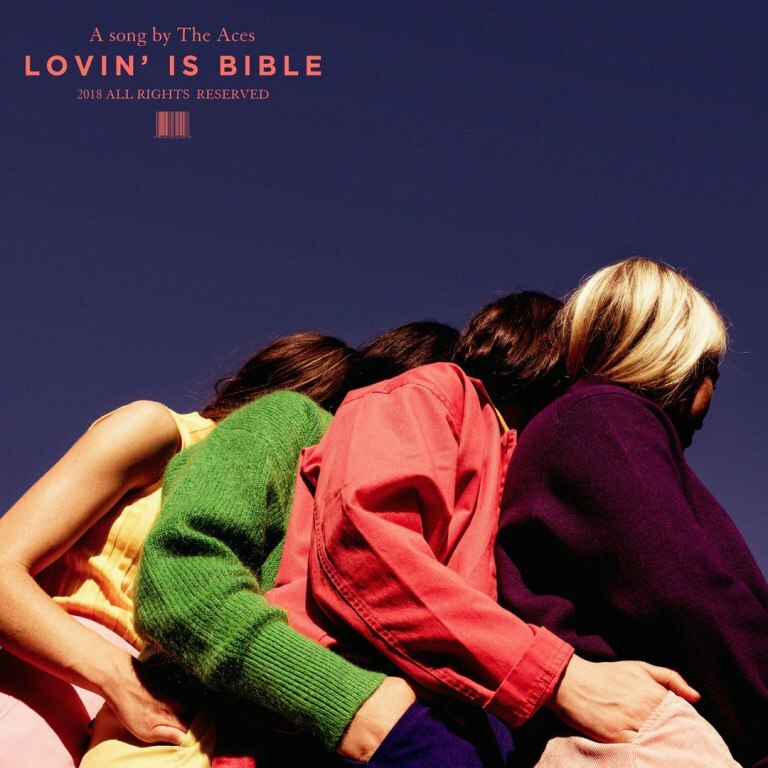 The skill-set and multi-layered meaning exemplified in “Lovin’ Is Bible” are enough to prove that The Aces aren’t just good for a girl band; they’re a good band, coincidentally comprised of all girls.